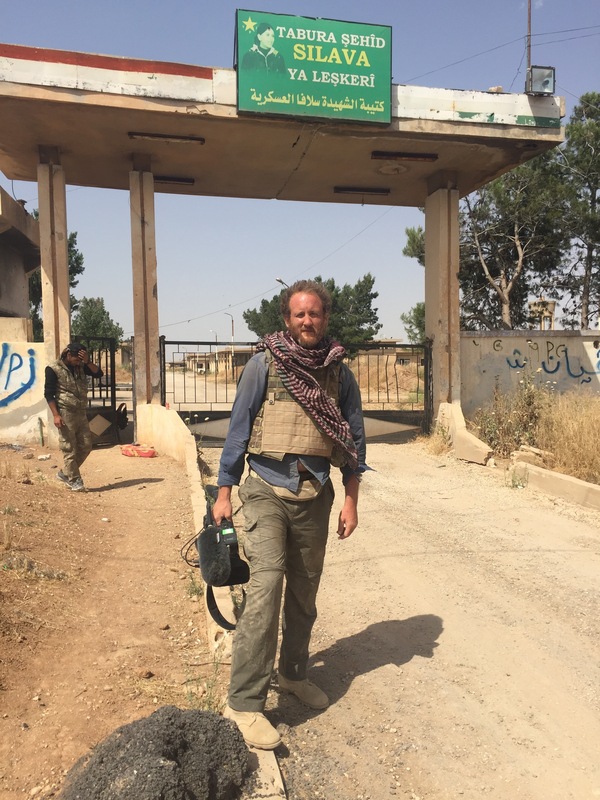 A journalism graduate from City University London has shot a new Channel 4 documentary about British fighters who travelled abroad to battle the militant group ISIS. 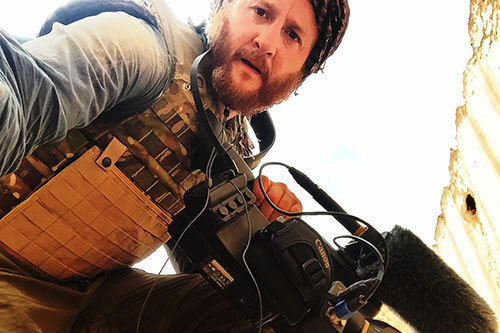 Mauricio Gris, who completed a Television Journalism MA in 2014, spent a month with three UK volunteers in Syria earlier this year as they fought alongside the YPG Kurdish militia. The film, Frontline Fighting: The Brits Battling ISIS, is being broadcast on Wednesday 16th September, at 10pm. Mauricio was one of three former soldiers who shot the footage and interviewed the fighters as they took up arms with a band of volunteers known as the Lions of Rojava. Channel 4 says the film offers “unprecedented insight into the dangerous and brutal reality of ‘amateur’ fighting on the IS frontline”. The three British volunteers were Jac, a 22-year-old former IT worker from Bournemouth, Harry, a 28-year-old former currency trader from Battersea, and Jim, a 40-year-old former soldier and peace activist from Stoke-on-Trent. The documentary follows the trio as they train with Kurdish troops and take part in an operation to regain control of an ISIS stronghold in the north east of the country. Channel 4 Commissioning Editor Siobhan Sinnerton said on the broadcaster's website: “The fight against ISIS is one of the most important stories of our time, but also one that is incredibly hard to tell because of the difficulties of access. Mauricio was a Captain and Combat Camera Team Leader in the British Army until 2013. He is now a documentary filmmaker.